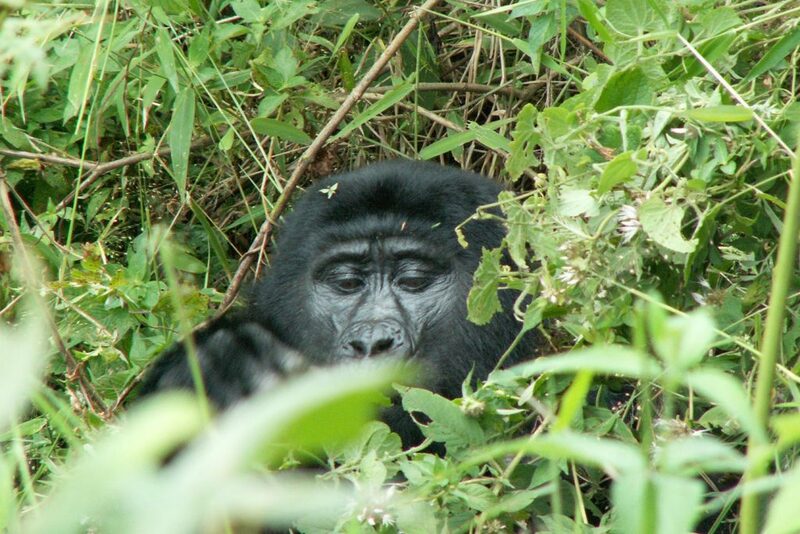 Many travel to Uganda and Rwanda to catch sight of the mystical, mountain gorillas living in the dense mountain forests. 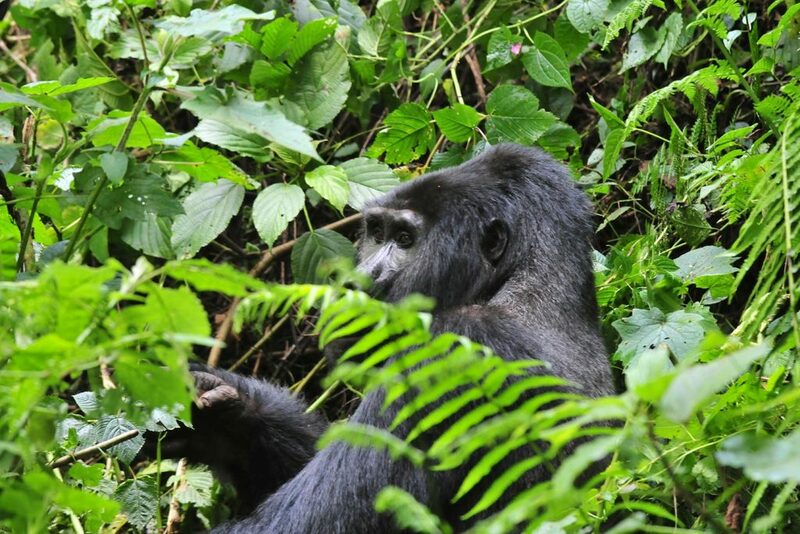 Rwanda and Uganda’s attractions don’t stop there. 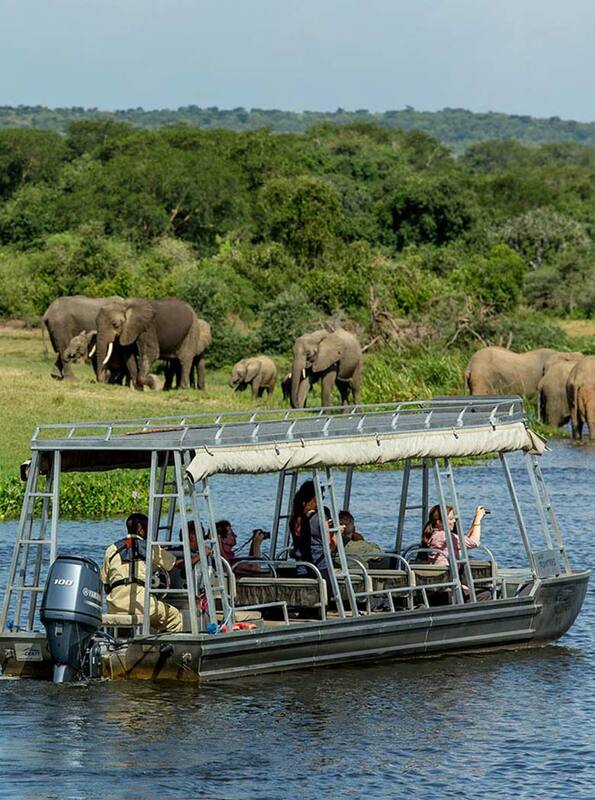 The hippo-filled rivers, abundant birdlife, serene lakes and villages filled with enthusiastic locals consistently capture the attention, imagination and hearts of travellers worldwide. The appeal of watching wildlife in their natural environment continues to capture the imagination of millions around the world. Multiple generations of exceptionally talented natural history filmmakers and wildlife cameramen have brought Africa into our living rooms. Collectively, they paint a vivid picture of the habitat and lifestyle of those creatures with which we share our precious planet. But there’s something especially captivating about watching an animal whose mannerisms and body language can be so similar to our own. 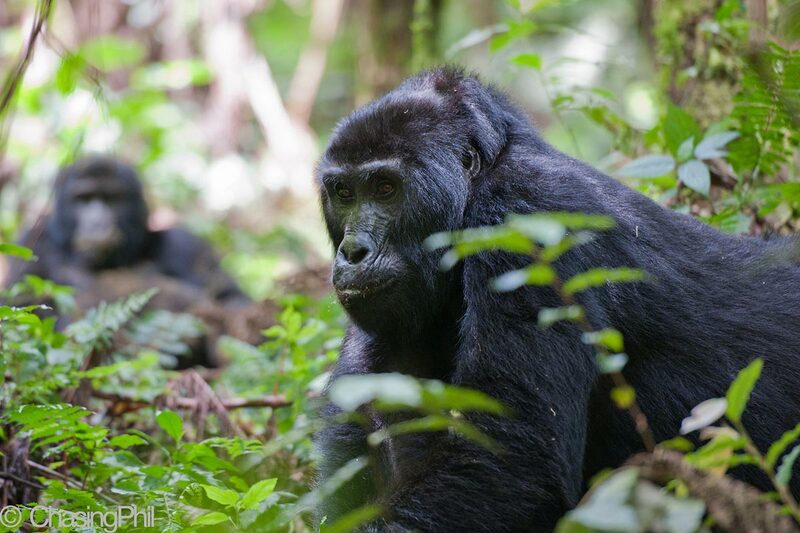 Gorillas enthrall and terrify in equal measure, their immense bulk a threat and yet intensely beautiful. Charismatic, engaging and expressive, it’s not surprising we see so much of ourselves in their faces when we learn that over 98% of our DNA is shared. But for many, it’s simply not enough to watch on the small screen. 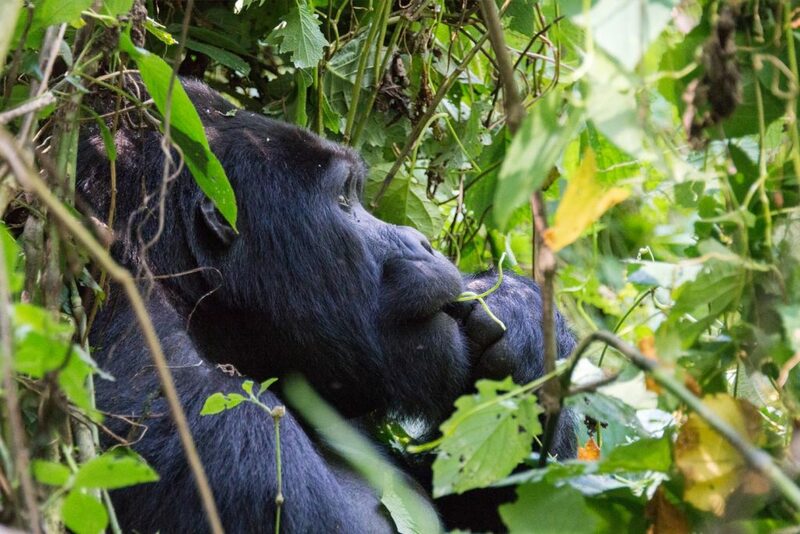 We yearn to venture into the world of these magnificent creatures and see for ourselves how they interact with their environment and each other. 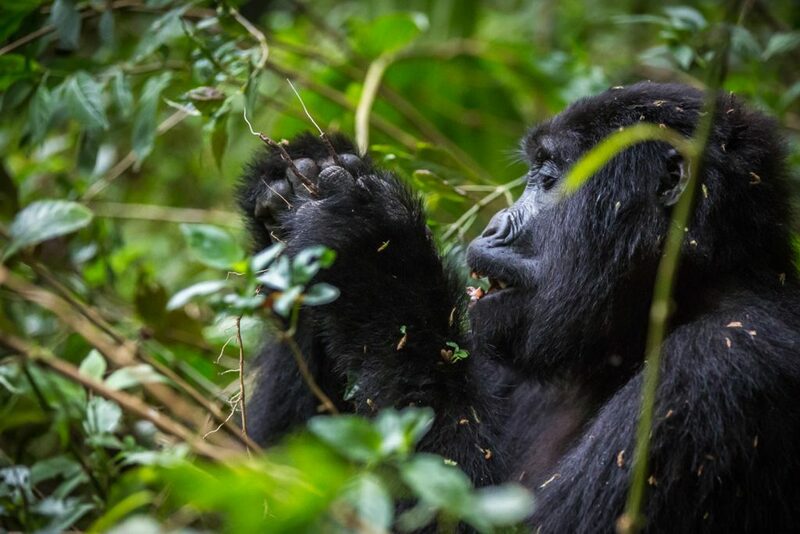 Mountain gorillas are among the most critically endangered of the planet’s species and though conservation efforts continue, numbers are still worryingly small. To be able to watch from such a close distance is an enormous privilege and one that we cannot take for granted that our grandchildren may be able to replicate. 1. 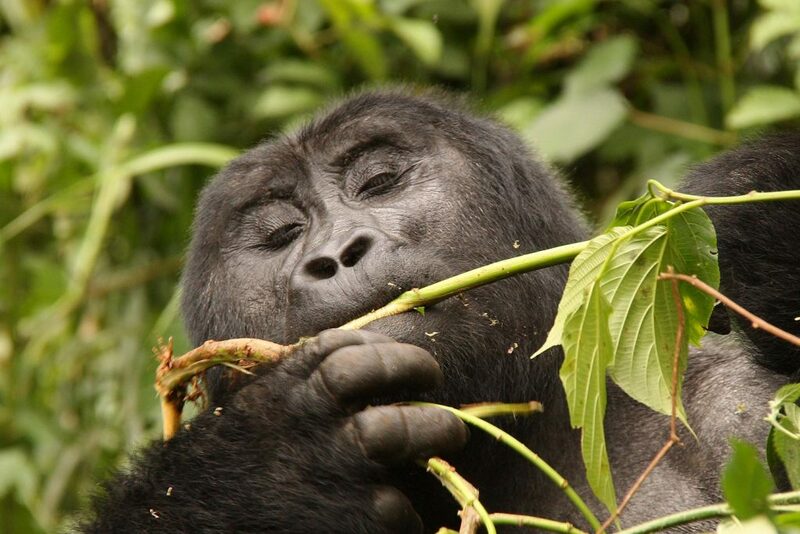 Mountain Gorilla: Be transfixed by the wonder and majesty of Uganda’s highly endangered mountain gorillas. 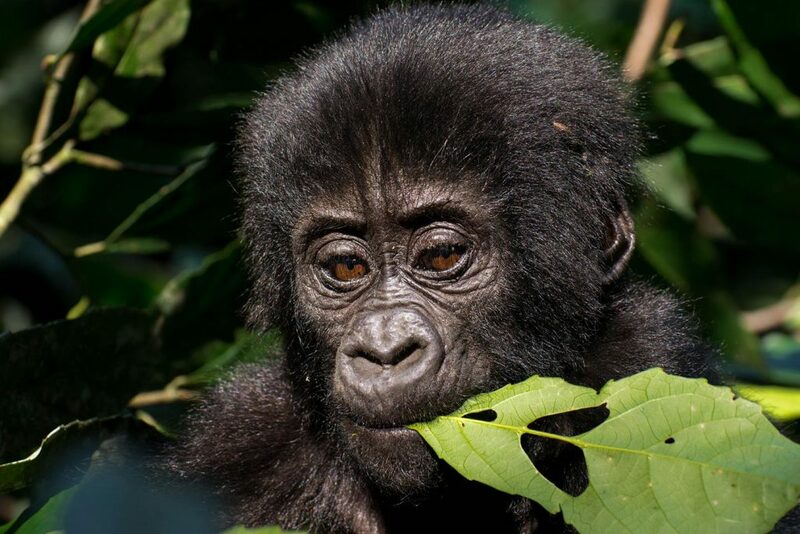 The challenging trek through the steamy jungle of the Bwindi Impenetrable National Park is all worth it once you’re beholding these beautiful beings. 2. 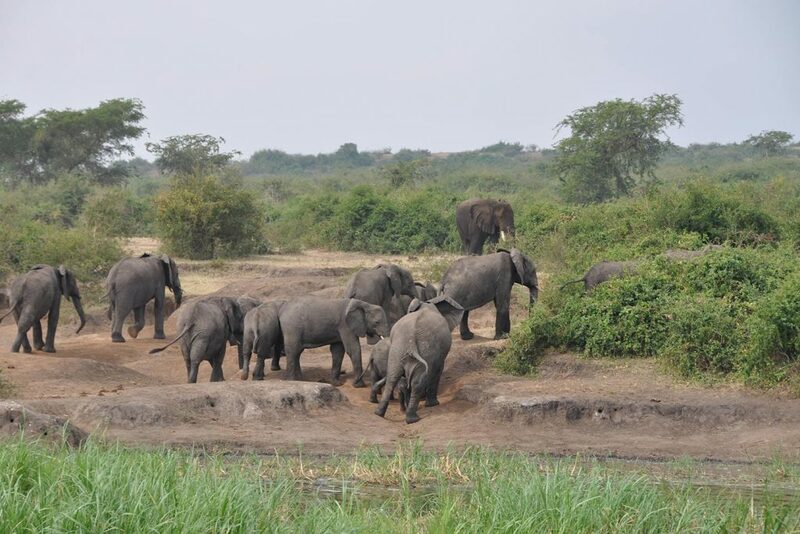 African Elephant: Population numbers of the mighty African Elephant continue to grow in Uganda’s nature reserves and national parks. Catching sight of one of these brilliant beasts while on a game drive is a truly breathtaking experience. 3. Black and White Colobus Monkey: These curious creatures are fond of grunting, roaring and croaking – so they aren’t hard to find. 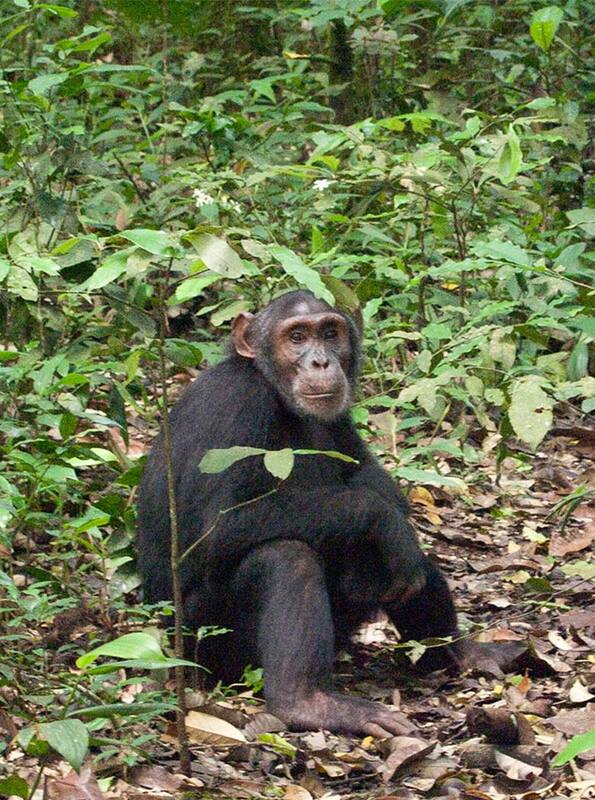 Look for their white faces in the treetops while walking in Uganda’s national parks. 4. Black Rhinoceros: Although critically endangered, it’s still possible to see black rhinos in the Ugandan wild. Conservation projects have gone a long way in seeing the population numbers improve so with luck, you’ll spot a couple while on a game viewing safari. 7. Hippopotamus Hippos are synonymous with the African bush. Spot them lurking underwater and basking on the riverbanks along the rivers and channels of Uganda. 8. 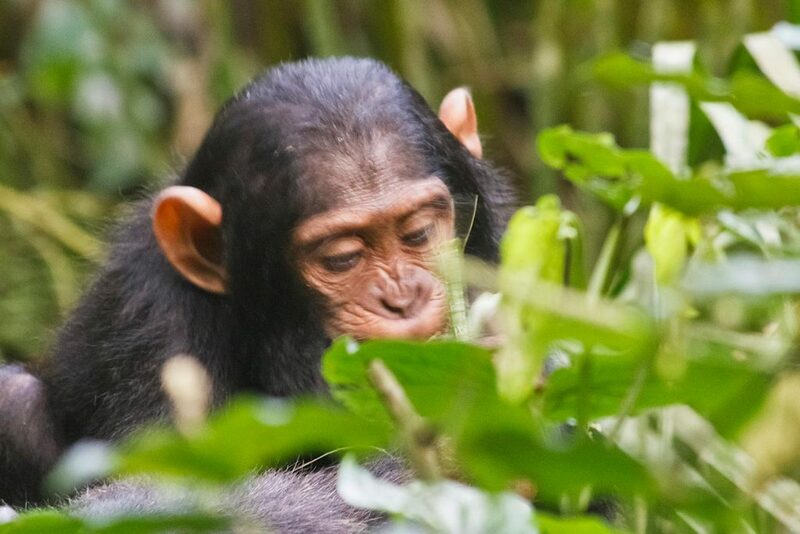 Chimpanzee: It’s fun to watch cheeky chimps swinging and playing in unadulterated bliss in the trees of Uganda’s forests. 9. Golden Cat: You’ll be lucky to catch a glimpse of this famously elusive feline. The African Golden Cat is a solitary creature, which favours living alone in the tropical and cloud forests of Africa. 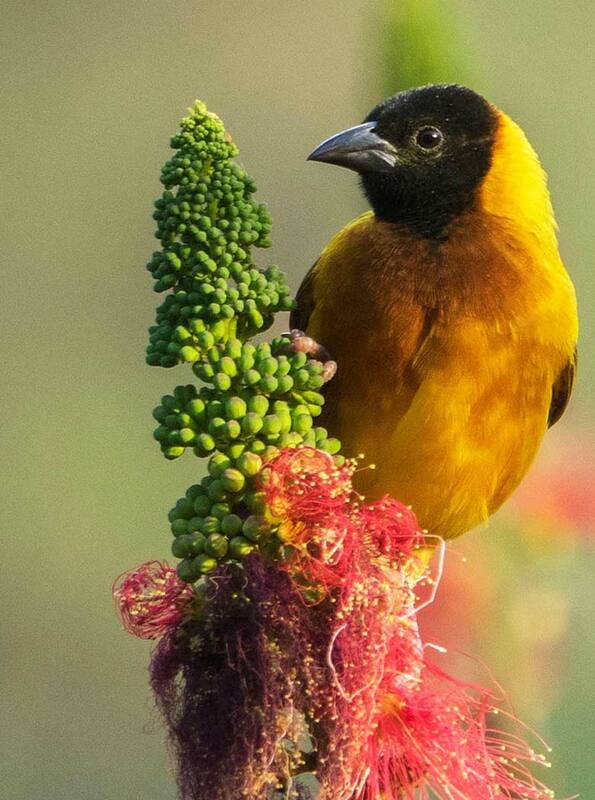 If you’re lucky enough to see one, count your blessings as they are simply remarkable. We believe that one of the best ways to experience a country is by eating! Whether you're sampling street food, savouring a cheap eat or indulging in a banquet, there are endless options to choose from wherever you are in the world. 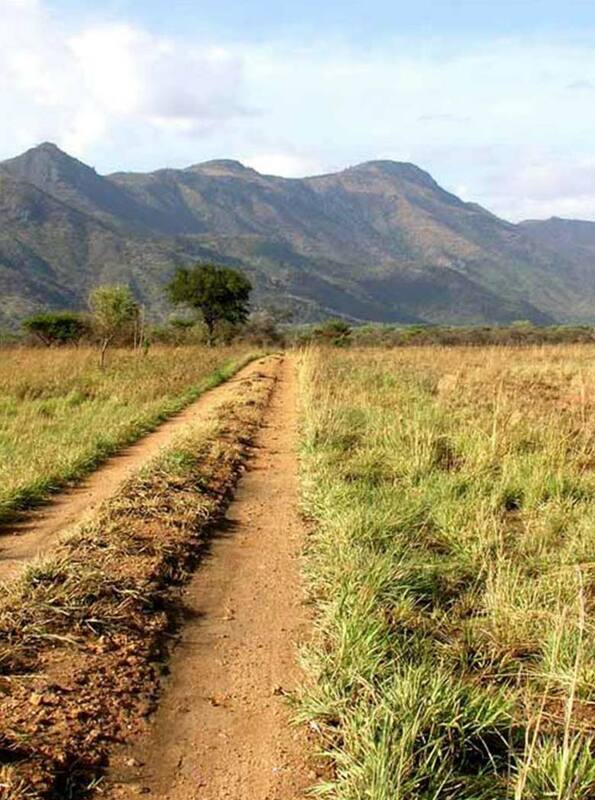 Uganda has loads of interesting markets to visit, although many handicraft items are produced in neighbouring Kenya. It's a good idea to check with your local customs officials to ensure that you are able to bring certain items back into your home country. Australia and New Zealand generally have strict quarantine laws.